There’s something to this “self-care” business. Yeah, yeah, when Harriette tells you to get a massage and meditate, it sounds cheesy, but you need to take a break. Make it a year-long break if you have to, lest you wind up like furze-cutting Clym Yeobright. Teachers as a whole are expected to martyr themselves, and that’s a trap, usually designed to squeeze as much work out of a teacher as possible without the proper payment. More after the jump! 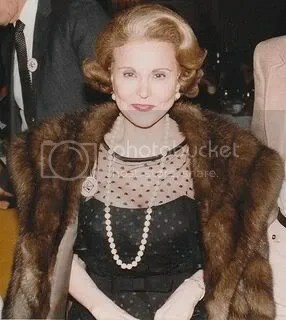 Image of Ann Landers in 1983 by Alan Light from Wikimedia Commons under a Creative Commons license. Consider the job outlook. I don’t know what type of PhD this person is getting. If the PhD happens to be in a field with some demand, then maybe it is okay to pursue a dream. That dream will turn into a nightmare, though, if all you have to show for your PhD is a massive debt load. Even if you do get a job, you might still have a massive debt load. Money and job worries will compound the stress you already feel as an aspiring academic, so don’t dismiss it. Speaking of dreams … Don’t follow your dream unless you know what your dream is. That might sound easy, but it’s not. If you want to be an academic, do you dream of writing? Do you dream of research? Do you dream of teaching? Do you dream of administrative work? (Hey, some people out there do. Maybe.) Will being an academic help you achieve that dream? You can write/research/teach somewhere else and maybe even make a living at it. For more advice in that department, turn to On the Fence and Worst Professor Ever rather than the Agony Aunts. Subscribe to comments with RSS	or TrackBack to 'An Academic Turns to an Advice Columnist, Redux'. And so it begins — have you seen “the PhD on this weeks’ PostSecret? I predict more people will need your Sense & Sangria! Well put! Now if only more unhappy academics would ask the post-PhD community for advice rather than well-meaning, if clueless, advice columnists who are well and truly out of the higher ed loop. WoPro, I did see the Post Secret! And that postcard will be appearing on Post Academic sometime in the near future. Eliza, I totally agree. While I have no doubt that these advice columnists have good intentions, I wish the people asking the questions about academic job dissatisfaction turned to the post-PhD community more often!